Tel Aviv University Team will excavate rebel dwellings, Herod’s gardens in month-long expedition at UNESCO heritage site. For the first time in over a decade, archaeologists are commencing new excavations atop Masada, studying previously untouched areas of the legendary desert mountain fortress, including the residences of Jewish rebels who met their doom in 74 CE. A Tel Aviv University team, headed by Roman-period archaeologist Guy Stiebel, will conduct a month-long excavation at the UNESCO World Heritage Site starting on February 5. It will be the university’s first expedition at the site, and the first expedition overall there since 2006. 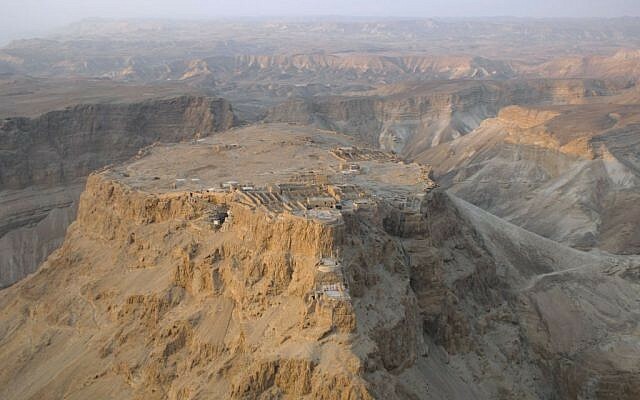 Masada is a rugged crag in the Judean Desert overlooking the Dead Sea. Herod, the first-century BCE king of Judea — perhaps best known for building Jerusalem’s Temple Mount complex — constructed a fortress and palace on the mountain.